The 21 Jump Street reboot was a hit that nobody saw coming, and the second film, 22 Jump Street was an even bigger success. With Sony scrapping the chances of a Jump Street crossover with Men in Black, it looks like they’re now going the all-woman reboot direction. As per Collider, Tiffany Haddish (Night School) and Awkwafina (Ocean’s Eight) are being eyed to star in a reboot of Jump Street with Haddish going uncercover as a teacher and Awkwafina playing another cop masquerading as a student—possibly Haddish’s daughter. There is still no final cast list, and it’s possible that Sony could find someone else to star, but for now the two actresses are said to be their top choices. Though 22 Jump Street was a success, it kind of boxed the franchise in the corner with it’s incredibly meta end-credits sequence. Lord and Miller basically put down every possible sequel for the franchise, and now it looks like Sony had nowhere else to go. Personally, I was a big fan of the first movie in how it rebooted the premise of the original show while bringing together old cast members like Johnny Depp. The humor was also fantastic and the chemistry between Jonah Hill and Channing Tatum was great. To be honest, though the sequel was fun, I thought it had too much meta humor that I wasn’t getting genuinely shocked for the characters anymore. 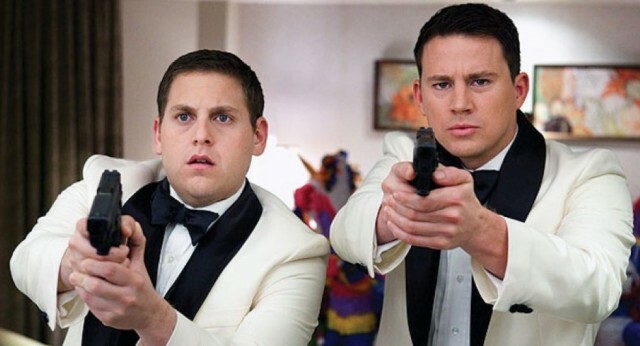 No release date has been announced for this Jump Street reboot, but hopefully we get some more news before the year ends.